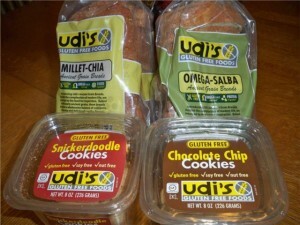 Colorado-based food processing company Udi’s Gluten Free Foods has introduced a new ingredient to two of its newly introduced breads. The new ingredient is called Salba and is said to be an ingredient that is nutrient-rich. The white, tiny seeds of the Salba contain many nutrients when measured in grams. Compared with other ingredients, Salba has 8 times more Omega-3 content than say, salmon; it has 6 times more calcium than the more common calcium source, milk. Salba also has thrice as much iron as spinach and has 30% more antioxidants than berries. Salba is said to be an ideal food for those who suffer from food allergies. This is because Salba is naturally free from gluten and is neutral tasting. Thus, this ingredient can be added to any kind of food, even baked foods. The nutritional profile of Salba is very good for those who have celiac disease. This ingredient offers more fiber than flax seed, which makes it a good alternative replacement in a diet free from gluten. Udi’s Salba-enriched breads, the “Gluten-Free Omega-Salba Ancient Grain Bread” and the “Gluten-Free Millet Chia Bread,” are now available in retail food stores for $4.95-$5.59. I live in Lagrange GA, where can i buy the Salba bread?